Four OTIS B.F.A. students, who participated in Travel Study: Brazil 2014, also enrolled in its associated course, Brazilian Urbanism and its Future. 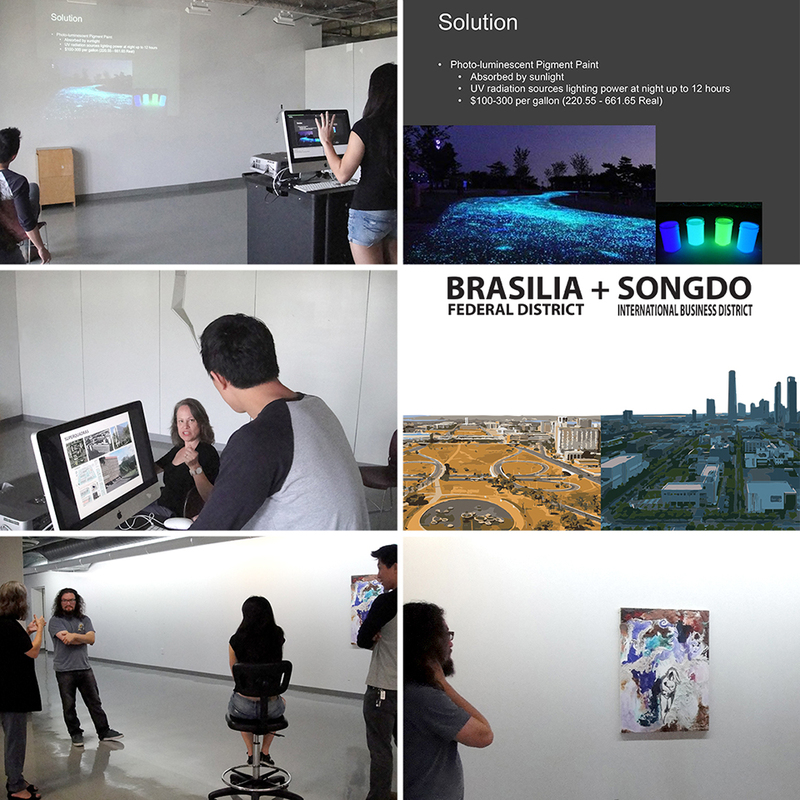 During spring semester 2014, the students worked with their instructor, Architecture/Landscape/Interiors Adjunct Professor Chava Danielson, in researching, conceiving and developing project concepts that they supplemented with their experiences and documentation during the trip to Brazil in May. 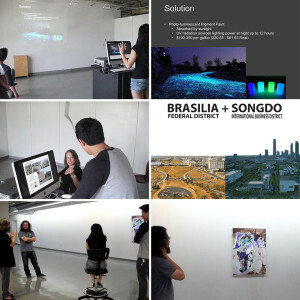 After returning from Brazil, they completed their projects and presented them at a final jury in early July. Erica Chung, a Communication Arts graduating senior, proposed several different lighting installations that would help residents move through Rio’s favelas at night. The installations deployed recycled and energy-efficient materials, such as plastic bottles and photo luminescent pigment paint. Vivian Stitzel, a Communication Arts sophomore, proposed turning a Rio street into pedestrian public space and scenarios of how residents would interact with this new public space. Jusung Park, an Architecture/Landscape/Interiors junior, analyzed, compared and diagrammed two planned cities, Basilia, Brazil, and Songdo, Korea. David Klein, a Fine Arts junior, created a painting that reflected his impressions of the differences between life in Brazil and in the United States.